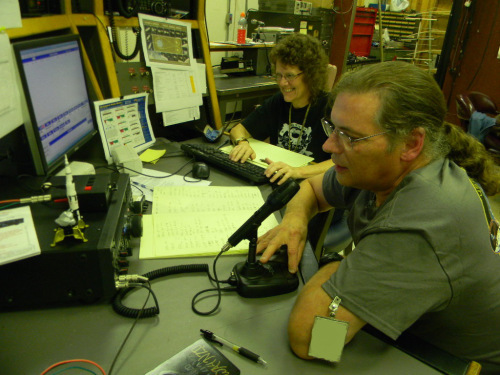 The Marshall Amateur Radio Club station is located at Building 4622 at the NASA Marshall Space Flight Center, on Redstone Arsenal, in Huntsville, Alabama. The building site was originally used for high energy propellant testing. 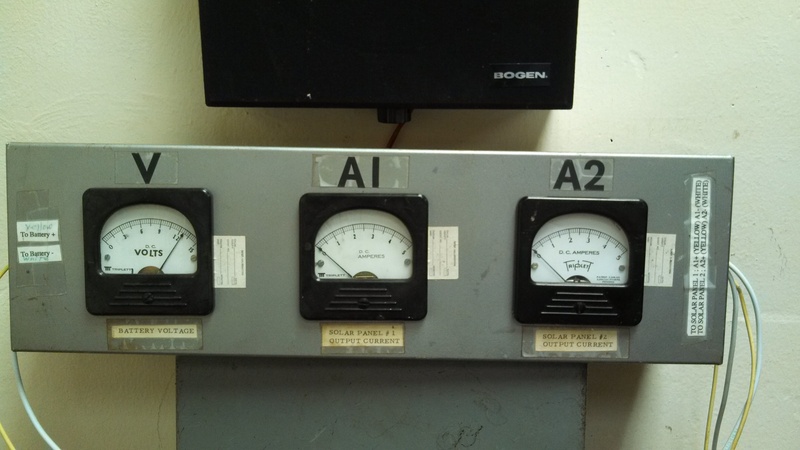 The building is sturdy, which makes it a good back-up emergency radio operations center. 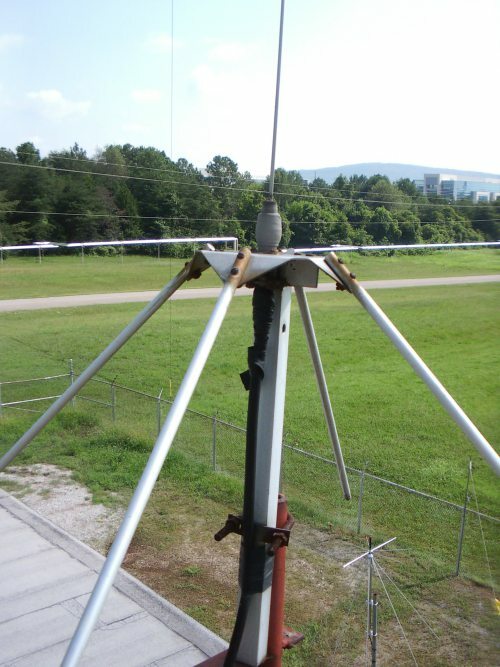 The tallest antenna on the site is a beam antenna that no longer functions on top of a 100 foot tower, a legacy from the club’s earlier years. 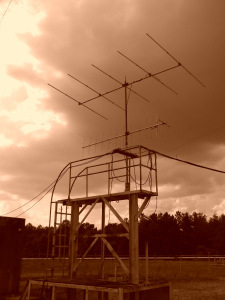 The club does use the tower to support three wire antennas: a 40 meter dipole, a 30 meter dipole, and a center-fed inverted vee with separate wires for the 17 and 20 meter bands. The tower also supports a quarter wave 2 meter antenna. Near the top of the tower are sirens for the tornado warning system. But now the club does have a good, working beam antenna. 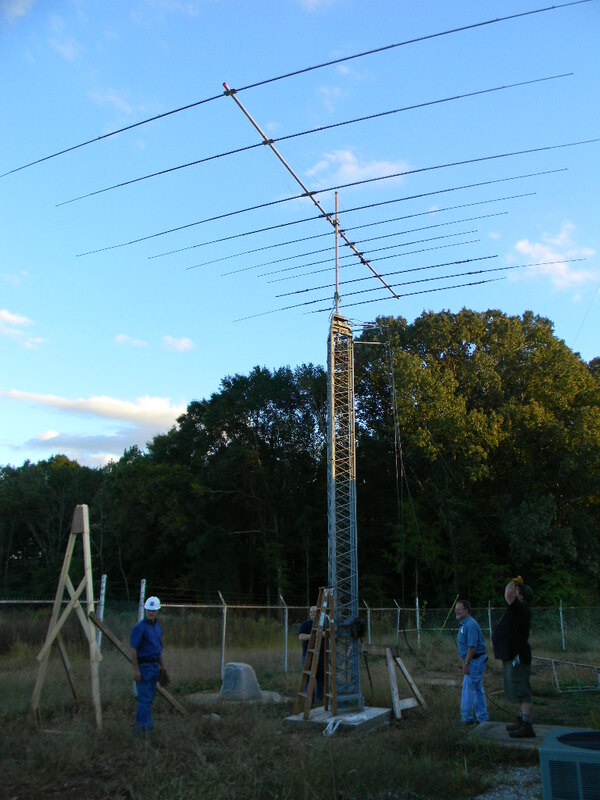 After several years of effort, the club obtained a surplus telescoping 54 foot tower, and purchased a very capable HyGain TH-11-DX 5-band beam antenna to go on it. The TH-11-DX covers 10, 12, 15, 17, and 20 meters. The station has two more dipole antennas suspended from a utility pole west of the shack. 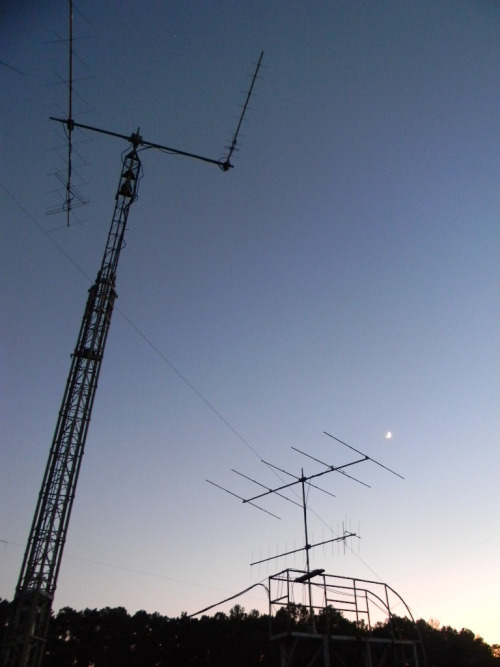 These antennas cross diagonally across the site like an “X”: the 80 meter dipole antenna extends North-Northwest (NNW)-South-Southeast (SSE), the 160 meter off center fed (OCF) dipole antenna extends NNE-SSW. 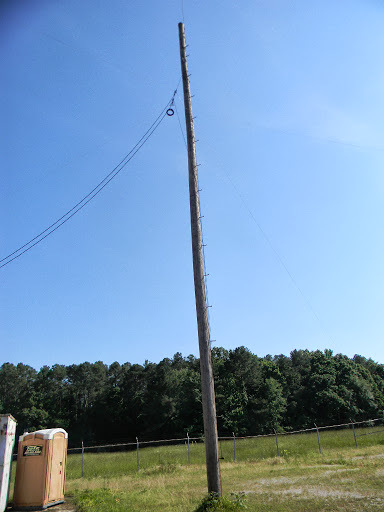 A utility pole supports our 80 meter dipole and our 160 meter off center fed dipole. We have a deck platform to the west of the building, on which are stacked the 220 MHz beam and the 5 element 6 meter Yagi beam antennas. 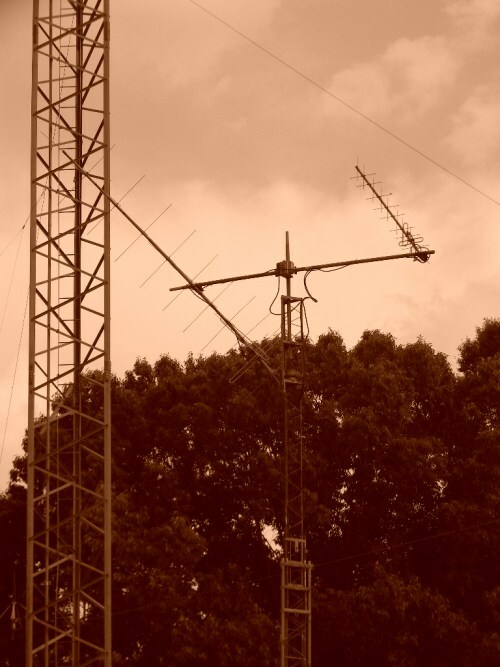 We use the 6 meter Yagi for meteor scatter work, as well as for 6 meter band openings. Closer to the building, on a mast we can lower, are our set of satellite antennas. One operates on 2 meters, the other on 440 MHz. One can be used for uplink while the other for downlink. We can program our computer with orbital elements to track satellite passes. We have a disc cone antenna mounted on the roof, and a quarter wave 2 meter antenna mounted on the 100 foot tower. We use a console desk for most of our operating. 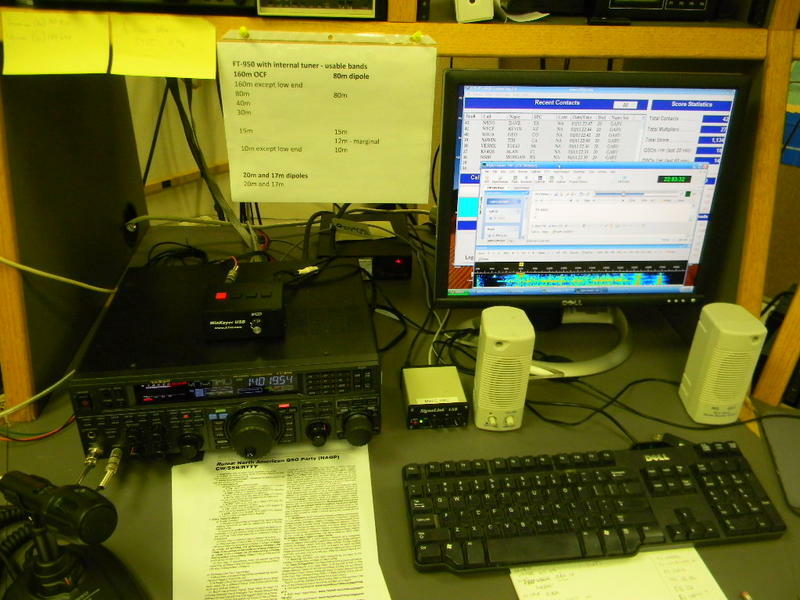 A Yaesu FT-950 transceiver is our primary rig. Our computer currently runs Ham Radio Deluxe (HRD) for logging. The HRD software can also be used for CW and digital decoding and sending. For contests and special events, we us the N3FJP logging programs. For JT-65 we use the JT65-HF HB9HQX software. 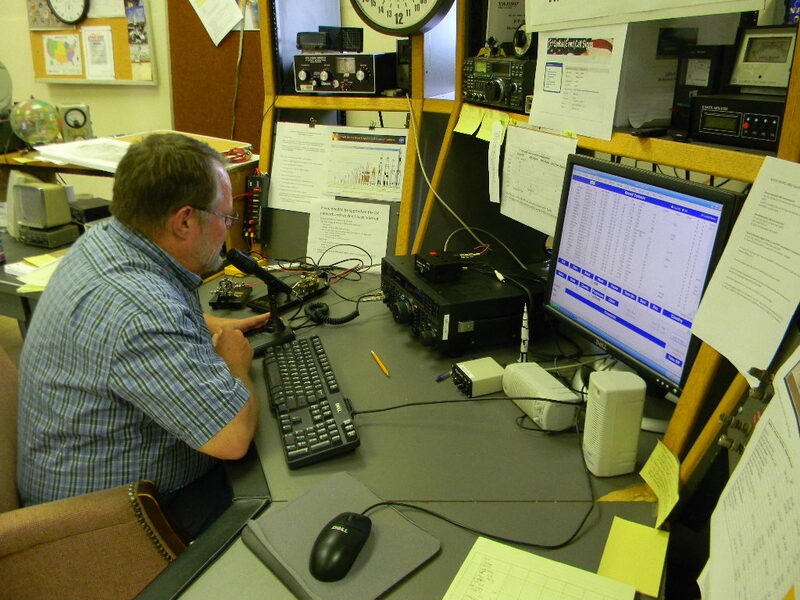 We regularly transfer our log data to ARRL Logbook of the World and eQSL. We have an MFJ 926B antenna tuner. We need that mostly for the CW portion of the 160 meter band. For the remainder of the HF frequencies, our antennas are tuned well enough that we can operate just with the Yaesu FT-950. 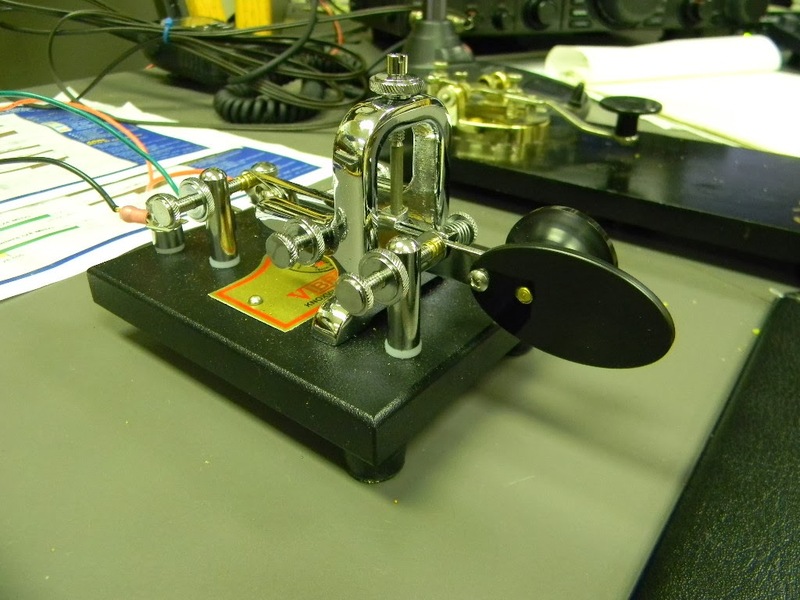 For our normal CW operating, we have a straight key and a Vibroflex standard keyer paddle. We built a K1EL Winkeyer kit for the keyer. We have individual transceivers for 2 meters (ICOM IC 275A) and 430 MHz (ICOM IC 475A) . We operate them individually, or together for satellite operations. 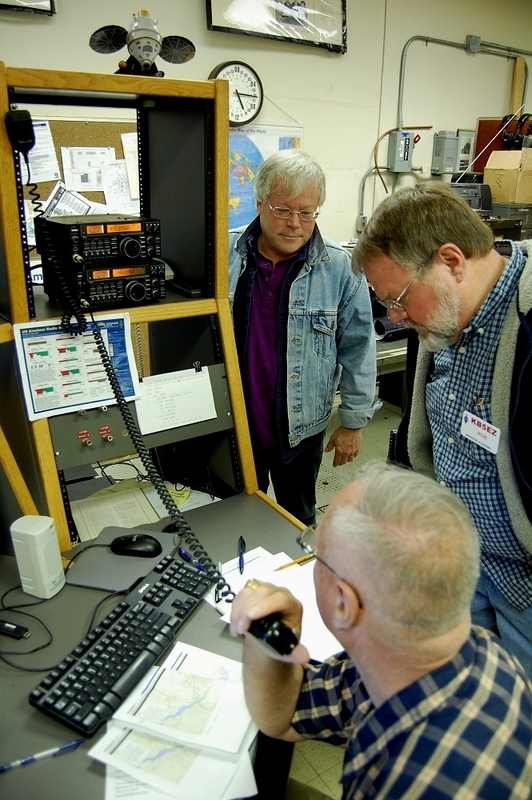 Also, we participate in local emergency practice operations on VHF and UHF. We have solar power capability. 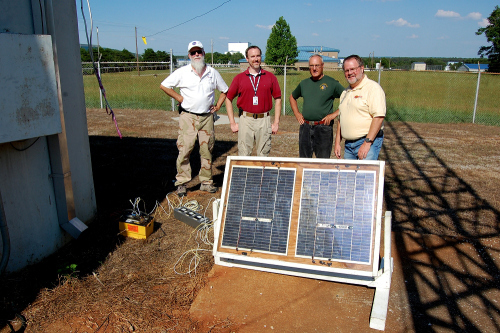 The solar panel is an early engineering model developed for Skylab, circa ‘60s early “70s. 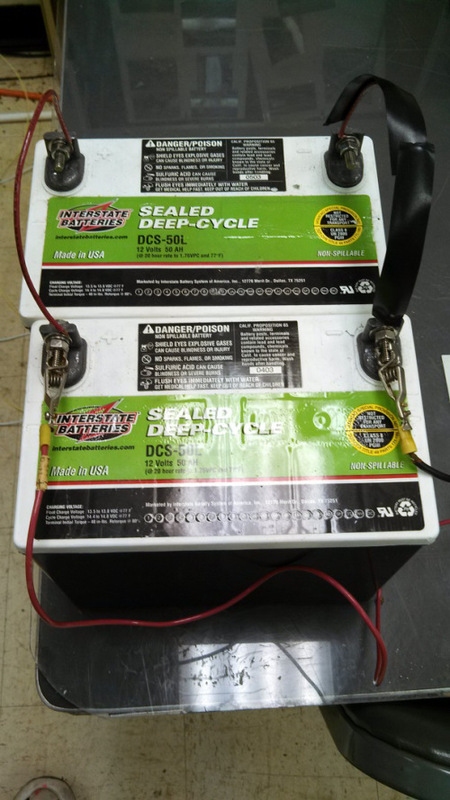 On Field Day events we make sure we have a few QSOs with just the battery power from the solar cells. The station has a sturdy workbench area where we can solder, repair, and build equipment as needed. We hope to meet you on the air!